See Sinach’s Unorthodox Reaction To Her Songs Being Played In Clubs! Gospel music singer Sinach has said that she does not really mind her songs being played in clubs. In a recent interview with Olushola Ricketts, of Punch, the singer said that everyone needs encouragement, love and inspiration, her music provides such succor and people needs that even in the club. She said a friend had recently sent her a video where her song came up in a nightclub. Sinach had advise Gospel artistes in 2017 to take their stand and not play both ends by wanting to minister in church and yet perform in clubs, UGChristian News reported. “Some artists want the best of both worlds and you cannot have it all. You do not put a toilet brush in the sitting room, it just doesn’t fit. I don’t work with artists who play in clubs, you have to stay in one place. Make your choice and stay where you belong.” She adds. Apparently, while the singer may not perform in the club, she does not mind if her music travels that far… as a matter of fact, she will encourage that it does. 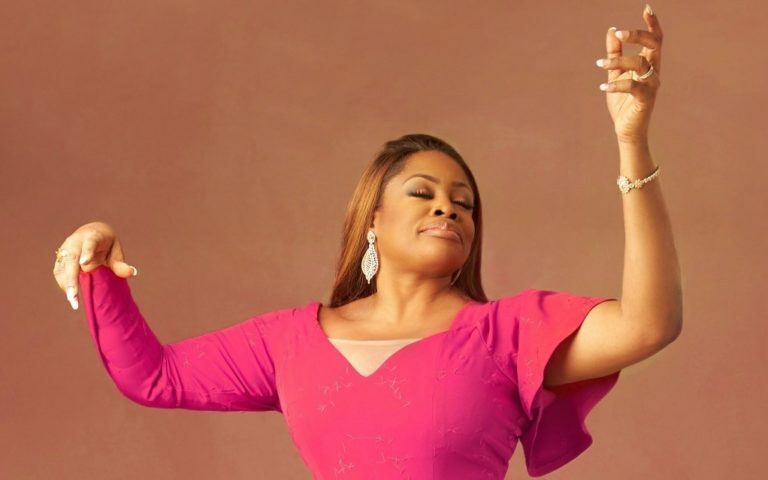 Sinach who also talked about her music career, her brand and the philanthropic works in different parts of the world says her mentorship initiative – ‘Sinach Mentors, Live Initiative.’ – will debut in September.